The material of the tread is elastic vucanization soild ribber, and the material of the rim is polyamide. The hardness is Shore A 68+5,and the temperature range is -20 degrees centigrade to +80 degrees centigrade. 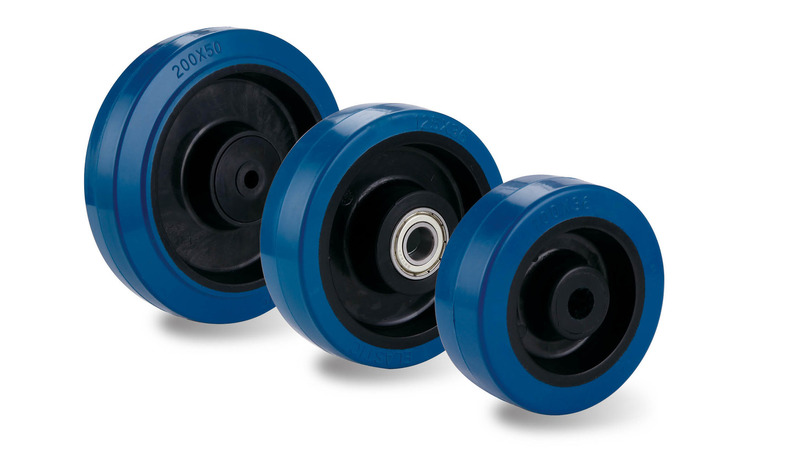 The capacity of the wheel is 230kg.The wheel diameter is 125mm, the wheel width is 36mm, the hub bore length is 50mm , and the hub bore diameter is 15mm.The advantage is high load capacity ,low rolling resistance, wear resistance, reduce vibration,and quite opeartion.